Australians are purchasing more Asian vegetables at the supermarket and green grocer according to the latest Nielsen Homescan study. Asian vegetable sales jumped 22 per cent in the 12 months ending January 2017 and dollar sales increased by 17 per cent across the period. Sarah McKee, Associate Director of Client Services at Nielsen, said green grocers and speciality Asian stores accounted for 37 per cent of all Asian vegetable sales in 2016. “But total sales in this channel declined by 5 per cent in the same 12-month period,” she said. 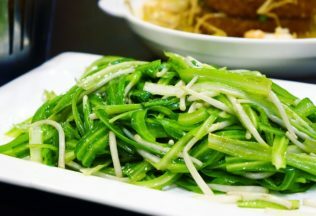 What Asian vegetables do Australians purchase? According to Nielsen, Asian vegetables such as pak choi, bok choy, choy sum, Chinese Cabbage and Chinese Broccoli can be found in one-in-three Australian homes. “Asian vegetables are purchased around five times per year on average with shoppers spending AUD $2.92 each time,” McKee said. Which Australians buy Asian vegetables? Households in New South Wales and Victoria are the biggest purchasers of Asian vegetable, accounting for 64 per cent of all sales. Asian vegetables are particularly popular among smaller households of up to two people, with this group of consumers representing nearly half of all sales. “There is room for supermarkets to derive volume growth further by stocking a greater supply of Asian vegetables and attracting new consumers who wouldn’t typically shop outside of a supermarket,” McKee said. The 2016/17 Food Manufacturing Industry Guide to Safety is now available. HERE’s our top ten list of national and international news briefs.